Fiat Chrysler Automobiles (FCA) India on Tuesday brought the Jeep brand in the country with the launch of two SUV models — Wrangler and Grand Cherokee. While the Wrangler is priced at Rs 71.59 lakh, the Grand Cherokee, which will be available in three variants, will be priced in between Rs 93.64 lakhs and Rs 1.12 crore (ex-showroom price, Delhi). The Italian carmaker also announced its plans to start local production at Ranjangoan plant in Pune from the second quarter of next year. 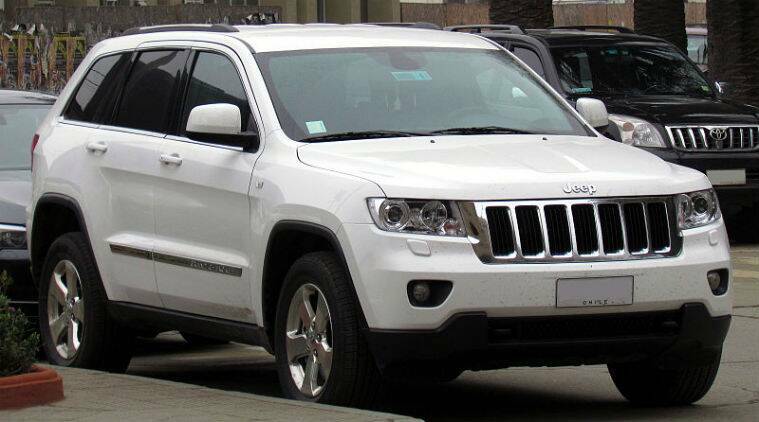 Grand Cherokee comes in three variants — The Grand Cherokee SRT (Rs 1.12 crore), the 3-litre diesel powered Summit (Rs 1.03 crore) and the 3-litre, 8-speed diesel version Limited at Rs 93.64 lakh. The India launch marks the 75 years of the iconic Jeep from Chrysler, which incidentally is also the inventor of the SUVs in the world, FCA India president and MD Kevin Flynn said. The company will open 10 dealerships under the Jeep Destination Store brand in nine cities by the end of this calendar year. The first outlet is live in Ahmedabad from Tuesday while New Delhi and Chennai will come in line next month. The Mumbai outlet will open in October, along with a second outlet in New Delhi, both before Diwali, followed by Hyderabad, Chandigarh, Kochi and Bengaluru, Flynn said. On the two SUVs, the company will offer two-years of unlimited mileage warranty apart from a host of other services under the ‘Jeep Assist’ that offers a 24/7 helpline and roadside assistance programme for 24 months, a business class air ticket or a hotel stay in case of accidents and breakdowns. “Come the second quarter of 2017, we will have these iconic models, which are imported as of now as completely built units, being manufactured at our Ranjangoan plant, which has around 2 lakh capacity, most of which is being used by Fiat now,” Flynn told PTI. He also said the company will add another premium Jeep SUV next year when local production starts. “The Jeep, which has close to seven decades of history here, pioneered the SUV segment and the concept of off-roading in the world,” Flynn said. “Now, we are providing our Indian customers with access to what Jeep has to offer by launching the Jeep Wrangler, the most capable production 4×4 vehicle in the world and the luxurious Jeep Grand Cherokee, the most awarded SUV of all time,” he said. According to Prince Abhimanyu Singh Alsisar of the Jodhpur royal family, The Jeep came to the country soon after the World War II, when the American army shipped a lot of them from Burma to India. Alsisar is an avid fan of the brand and possesses six vintage Jeeps. “We have already invested USD 280 million in Ranjangaon to mobilise our localisation strategy. We are on track with our plans to manufacture and roll out an all-new, premium Jeep SUV from our plant in 2017,” Flynn said. The Jeep’s global vehicle line-up consists of Cherokee, Compass, Grand Cherokee, Patriot, Renegade, Wrangler and Wrangler Unlimited. Fiat Chrysler Automobiles designs, engineers, manufactures, distributes and sells vehicles under the Abarth, Alfa Romeo, Chrysler, Dodge, Fiat, Fiat Professional, Jeep, Lancia, Ram, SRT brands as well as luxury cars under the Maserati brand. FCA also operates in the components sector through MagnetiMarelli and Teksid, and in the production systems sector through Comau. Its after-sales services and products come under the Mopar label across 40 countries and has commercial relationships with customers in around 150 markets.